Established by Cameron Blake and father David in 2010, family-owned-and-operated Blake Machinery Group (BMG) is focused on working with new and existing customers as it closes in on a decade of operations. 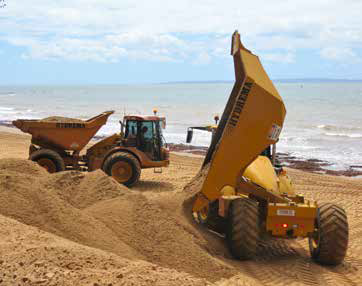 The Sunshine Coast-based business specialises in the supply and delivery of quality used earthmoving equipment and parts, priding itself on providing first-rate services to customers across a range of industries, including the civil contracting, mining and private sectors. Supporting varied earthmoving operations, BMG ranges a wide variety of equipment, and its team of professionals is keenly aware of the importance of delivering tailored outcomes for clients’ specific requirements. 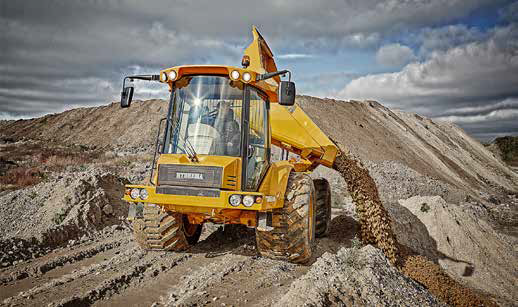 BMG sells leading-brand construction and earthmoving machines and equipment – including Caterpillar, Komatsu, Volvo, Bomag, Hitachi, Kubota and Yanmar – with its stock encompassing dump trucks, excavators, graders, loaders, rollers, dozers and more. BMG is also the exclusive agent for Hydrema articulated and compact dump trucks in Queensland, New South Wales, the Northern Territory, Victoria, South Australia and Tasmania, and offers a wide range of Hydrema 912 dump trucks for sale, describing Hydrema vehicles as being “known for their high performance, ease of use, low weight and great overall durability”. The small and agile 912 range can be configured to accommodate a number of applications, including as a dump truck, water truck, concrete agitator and off-road tray truck, and can be fitted with hi-rail running equipment, suitable for the construction and maintenance of railway lines and tracks. BMG added another element to its business in 2015, expanding into spare parts, with the BMG Parts component of its operations supplying new Hydrema parts, along with Volvo equipment parts and components, with BMG Parts the exclusive distributor for replacement parts and maintenance products provider Blumaq in Australia and New Zealand. Specialising in Volvo construction and earthmoving equipment parts and components, BMG Parts stock 2700 different new aftermarket parts for Volvo loaders and dump trucks, with access to excavator parts, and used parts, which are in as-is conditions. BMG Parts also has an on-site workshop which rebuilds major components for their service exchange program. An integral component of its operations, BMG’s fully equipped workshop is decked out to ensure that all equipment leaving the BMG yard is fully serviced and prepared. With mechanics on hand to cater to a wide range of services, BMG specialises in rebuilding and repairing components, including engines, transmissions, drop boxes and differentials, with all rebuilt transmissions and drop boxes also bench-tested by an outside source prior to delivery. BMG’s fitters are specially trained by Hydrema and fully qualified to undertake all service and repairs for Hydrema dump trucks. Its business operations are supported by a sales team with extensive industry knowledge, drawing on over 75 years of combined experience in the equipment industry. Blake Machinery Group will be exhibiting at the National Diesel Dirt & Turf Expo for the first time in 2019, and is keenly anticipating its involvement in the event. BMG can be found at the Blake Machinery Group stand, #129, and the BMG Parts stand, #63. Blake Machinery Group will be displaying two Hydrema articulated dump trucks, which it expects will be sure to excite visitors. BMG Parts will have a drop box, rebuilt by one of its mechanics on display at the outdoor stand, along with genuine Hydrema parts and a range of new aftermarket Volvo parts. Blake Machinery Group will be exhibiting at Diesel Dirt & Turf 2019 visit Stand Outdoor 129 & Indoor 63 to meet the team and information about their leading range of machines.